We all know that you want the best when it comes to your business. It’s not enough to have an office machine that can print pages. You need something that will deliver consistent results, have amazing performance, and come with a team that is motivated to help your business work like you envision it. This is what our team can offer you and is also why we believe in Xerox. Xerox brand machines are our backbone at Colorado Springs Copier. 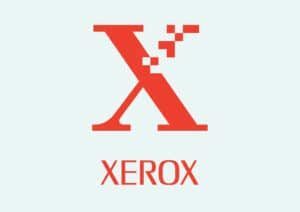 We have worked with them for years and we continue to do so because we believe that Xerox is the best option when it comes to choosing an office machine for your business. Xerox has decades of experience innovating the modern office. They have helped define the way that we view working in an office and continue to move the industry forward. However, when it comes to Xerox it’s about more than just making a great office copier; it’s also about having an amazing team to back up the products that they make. This is why Xerox offers their total satisfaction guarantee with all their leases with Colorado Springs Copier. The Xerox total satisfaction guarantee states that they will replace or repair any problems that you have with your machine within the first year of service, free of charge. They do this to help ensure that you business has a machine that works for them and won’t let them down in the future. We believe in Xerox because they care about their products and they are dedicated to helping every business that uses their products. Reach out to our staff to learn more about how to get a great, affordable Xerox lease with Colorado Springs Copier.